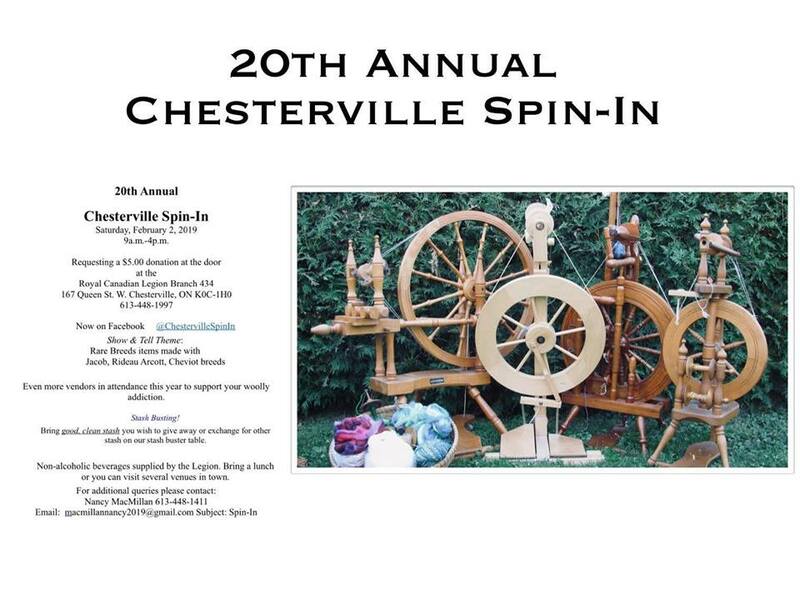 This Saturday, February 2nd, we’ll be in Chesterville at their 20th Spin-In, a place where spinners, weavers, knitters and crafters get together to share their love of fibre. It is open to the public (general admission is $5 per person) from 9am to 4pm. On our table you’ll find mohair locks, yarns, knitting and crochet kits, exclusive patterns, ready-made accessories, a selection of our goat’s milk soaps and much more! PLUS, we’ll have special St Valentine Day offers!! Want To Shop Our Full Selection Of Products And Save On Shipping? Place your order on our website before noon on Friday, February 1st, and save the cost of shipping. Just select store pick-up in the shopping cart as you checkout. Your order will be prepared and waiting for you to pick-up at our table! ← January,…What’s new on the farm?